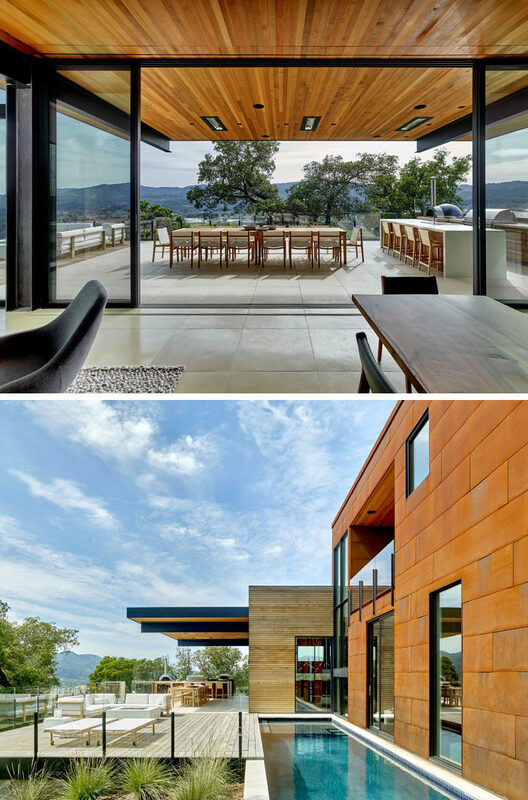 Zack | de Vito Architecture + Construction have recently completed the RidgeView House, that sits atop the western edge of the Vaca Range overlooking St. Helena and the Napa Valley in California. 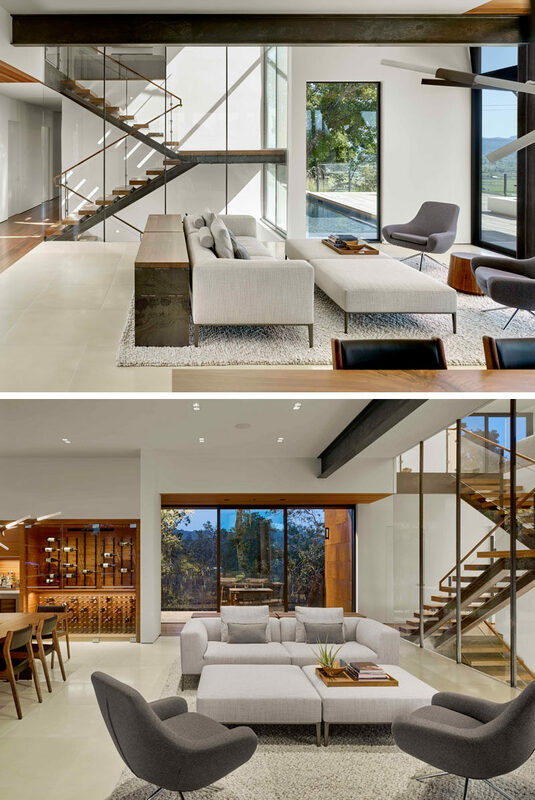 Inside, light colored walls and plenty of windows help to keep the living room bright and airy, while exposed steel beam give a slight industrial feel to the interior. 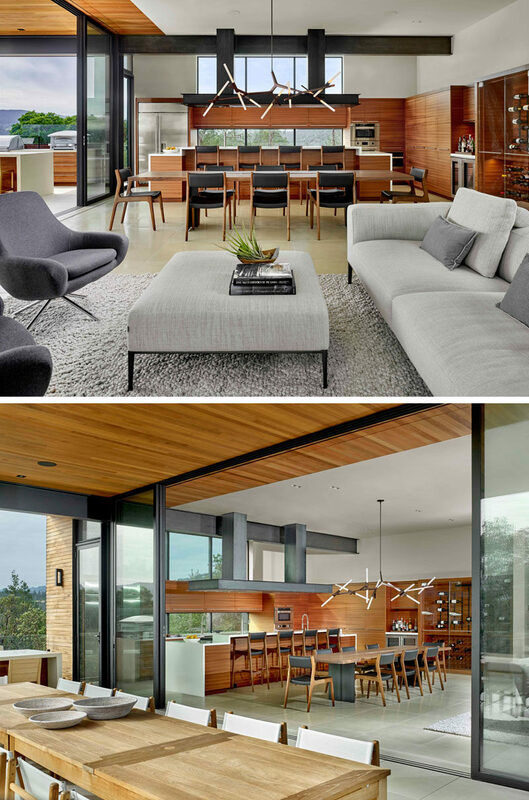 The social areas of the house are open plan, with the living room, dining room, and kitchen all sharing the same space. Sliding glass doors open to extend the amount of livable space, with a covered patio providing a place for an outdoor kitchen, dining area and lounge. 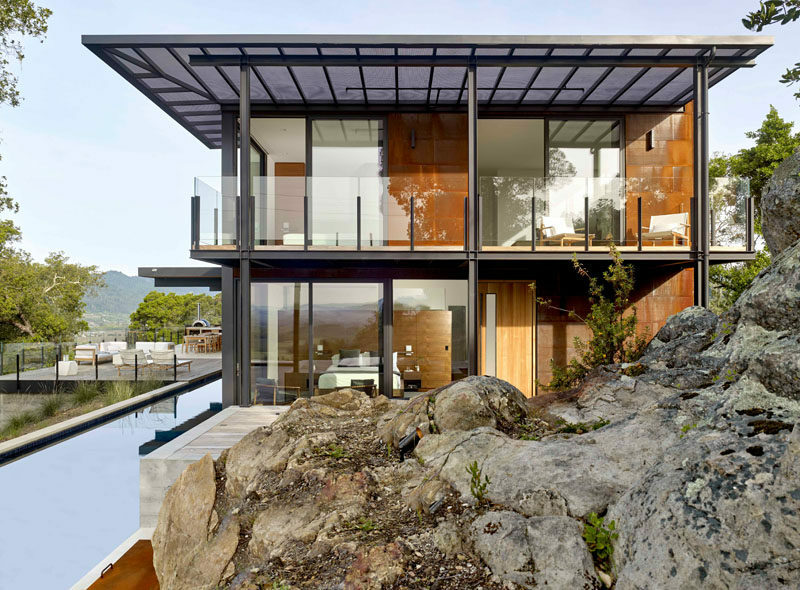 The patio also leads to a deck and swimming pool. 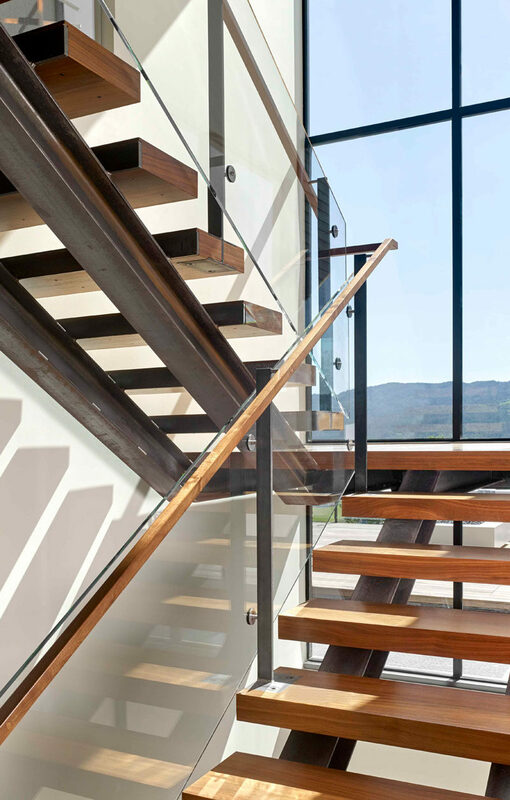 Back inside, steel and wood stairs with a glass handrail lead up to the second floor of the home. At the top of the stairs is an open home office and sitting room with access to a balcony. 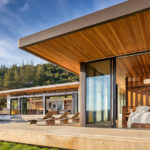 The master bedroom also opens up to a balcony, while a custom wood headboard meets a steel bed frame and bedside tables. 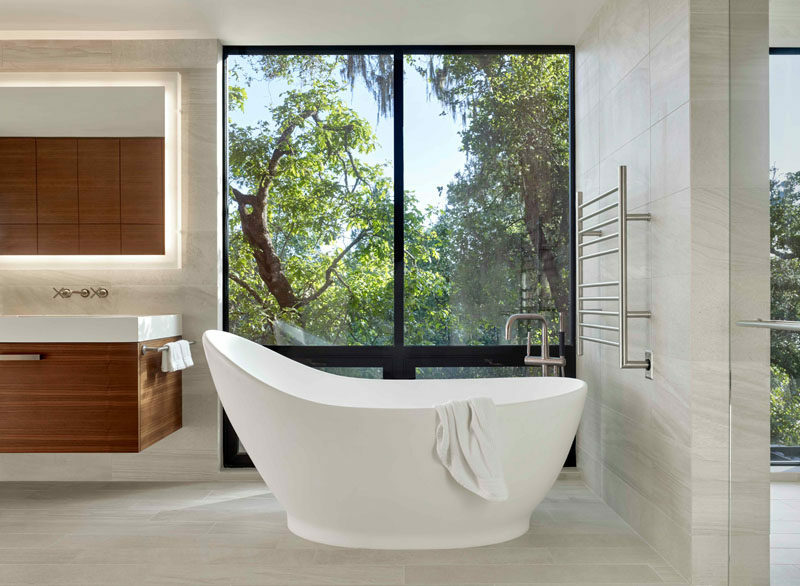 In the master bathroom, a curved freestanding bathtub is positioned in front of the windows to take in the tree views.